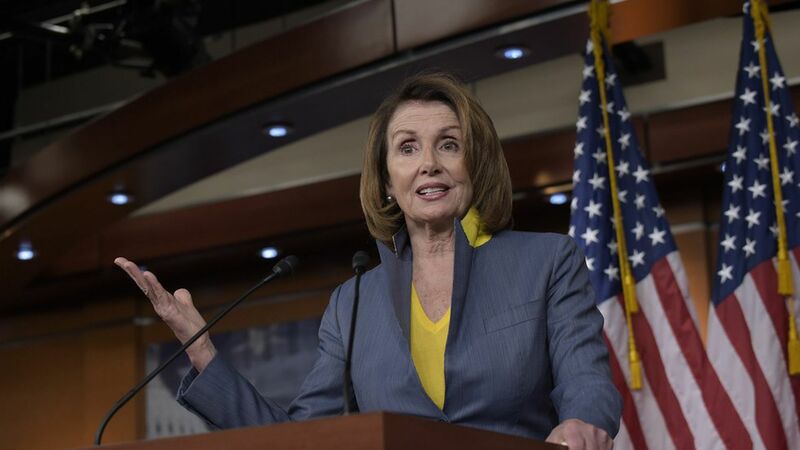 House Minority Leader Nancy Pelosi told reporters Wednesday that Senate Majority Leader Mitch McConnell was essentially the one who sealed yesterday's deal combining Harvey relief funding with extending the debt limit by proposing to attach a government funding measure to it. "That's really what actually strengthened our hand," she said. How they reached a deal: "It wasn't quick..it was a very long, intense negotiation." DREAM Act: Pelosi said that during yesterday's meeting, President Trump said he would sign the DREAM Act if the House passes it. "I am hoping and I am praying that the president really cares about the DREAMers." On Pelosi telling Trump to send his DACA tweet: "When he called this morning, I said thanks for calling, and said 'The people really need a reassurance from you that the six-month period is not a period of round up... and boom, boom, boom, the tweet appeared."